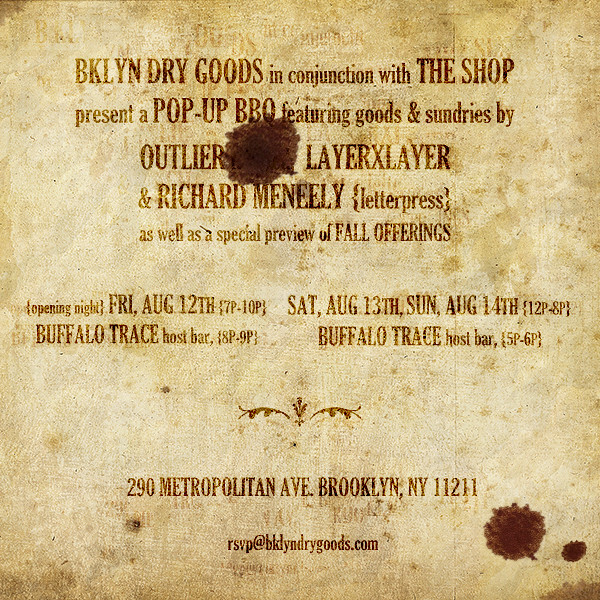 We cordially invite you to join us a for a BBQ this weekend (Aug. 12-14) at ‘The Shop’ in Brooklyn, hosted by BKLYN Dry Goods. We’re bringing a bunch of stuff with us, including a few never-before-seen pieces. There will also be a bunch of samples on sale - a pretty generous sale at that. You’ll also get a preview of our next collection, which is shaping up to be quite a production.